The Aladdin Easy-Grip Leak-Lock Mug, finished in white, allows you to enjoy your favourite beverage on the go. The Thermavac double wall stainless steel construction will keep drinks hot for up to 4 hours and cold drinks cool for up to 7 hours plus. Thanks to clever Leak-Lock technology this mug is leak proof and features a flip lid and locking slider. 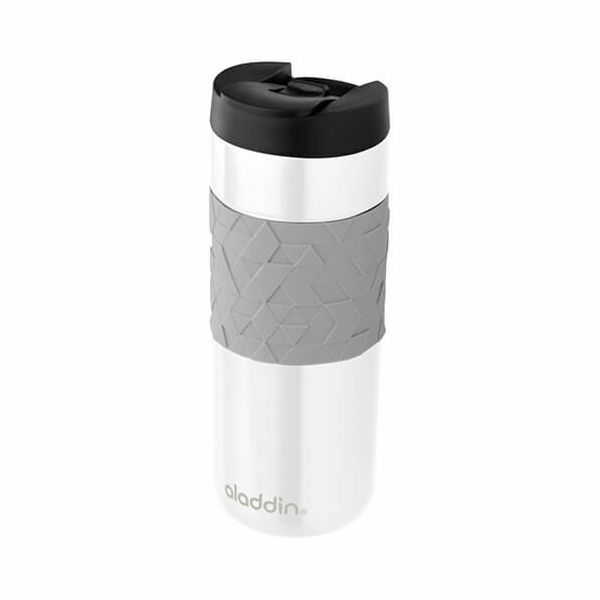 The Aladdin Easy-Grip Leak-Lock Mug is made from BPA free materials and is dishwasher safe for easy cleaning.